‘Cyber’ comes from ‘cybernetics’, the science of computers controlling physical machines. We all know the term from Dr. Who’s Cyber-men, or ‘cyber-space’. But cybernetics is a very important part of the security world: we have missiles, submarines, and even thermostats, all controlled by computers; and this control is correctly called cybernetics. Where this all goes wrong, is in the extension of the word to cover things that don’t involve robotics. Realistically, nobody could describe the attack on Ashley Madison as a cybernetics attack. It's not. It's purely a digital attack on a digital resource. But language is a malleable thing. If it suits us to extend a military metaphor to a non-military situation, then there is nobody has the right to deny that. If it makes political sense to call an attack on a non-military target as a cyber attack, well, that is the way that language works. Yes, we can call it cyber security. So government usage has extended the phrase "cyber" to cover things that are clearly not cyber security at all. Few of the attacks we have seen so far (with the exception of the Stuxnet attack on Iraq's nuclear reprocessing facilities) actually involve cyber security. But it is the flexibility of language, that allows us to extend a term such as "cyber" to cover more things than originally intended. 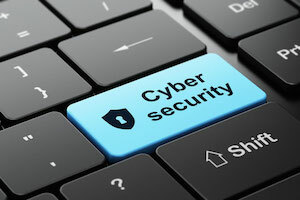 It's clear that there are many attacks that affect a country that don't affect physical events; so let's extend cyber-security to apply to them too. 'Cyber security'. Security against any digital attack that has the potential to affect national interests. I like it.